S 1/c Shirley J. Roark, son of Mr. and Mrs. S. G. Roark, attended schools in Hollister; husband of the former Nola Adams. 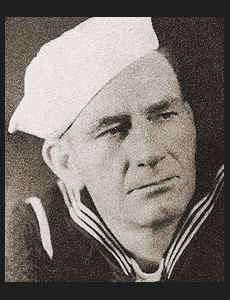 Entered Navy in April, 1943, trained in San Diego, Cal. ; served in New Guinea, the Philippines, Manila, Leyte, Guam. Awarded Asiatic Pacific Ribbon with four Battle Stars.